Women in rural counties can be forced to drive over two hours for care that is common in most cities and suburbs. "My OB at that time basically told me the pregnancy was not going to be a sustainable pregnancy and that it was basically going to abort itself, and we had to go home and wait for that to happen," she says. Firestone was faced with a situation no mother wants. Her baby boy’s chances were slim, but she wasn’t willing to give up on him. Her fight would require specialized care that wasn’t available near her home in Lyons, Indiana. "My only options were Bloomington, Indy, and Evansville," she says. "All of those are at least an hour away, if not longer, from my house." Firestone called on her network of friends, and found Dr. Mary Abernathy in Bloomington. Dr. Abernathy supported Deidra and tried help her through her pregnancy. But Deidra lost her baby. There’s a tree in her front yard that she and her husband planted to remember Cohen and a shadowbox hanging in the living room. "I feel like this time I’m going through pregnancy for the first time all over again," Firestone says. "Last time there were just so many things that were different, that I didn’t get that I do now just because our pregnancy wasn’t your ‘typical’ pregnancy." There is one similarity, however: Firestone is still making the trip to Bloomington for all her prenatal visits. Dr. Abernathy says that's common; she has patients from Evansville, Terre Haute, Seymour, Madison, and more. "Having this office here in Bloomington has helped them, because they don’t have to go all the way to Indianapolis," she says. State Health Commissioner Dr. Kristina Box says many Indiana counties are ill-equipped to care for the needs of pregnant women—especially those who are considered high-risk. "In a lot of those counties we don’t have a family doctor or an obstetrician gynecologist who even does obstetrical care," Box says. "Rural areas are losing their hospital obstetrical services. We now have 87 delivering hospitals across out state, with 31 counties that either have no hospital or their hospital doesn’t have obstetrical services." Box says women in need of emergency care can still go there, but the hospitals will likely not be able to adequately care for mothers and their new or unborn children. "If the opportunity avails itself, they need to go to the nearest hospital that does do obstetrical services, which for some women, could be as far as an hour or an hour and a half," she says. "That can be too long sometimes when it comes to obstetrical care." Dr. Abernathy says there's a clear connection between the soaring maternal and infant mortality rates in Indiana. "They share the same risk factors," she says. "There is a lot of interest and focus on decreasing our maternal mortality, and by doing that you’re probably going to have some shared crossover with the infant mortality." Deidra Firestone is pregnant again, after losing her son Cohen last year. That’s why rural health advocates are doing what they can to address a problem they believe is systemic in Indiana and the nation. OB Navigators are one resource officials believe can begin to turn the tide. The concept is simple. Navigators are often non-doctors who help guide women through their pregnancy and stick around until the baby’s first birthday. Heather Grable is a Project Coordinator with the Indiana Rural Health Association. "The OB Navigator will be the person that delivers that education, because often times that mom will come into the doctor’s office and the doctor will do a quick exam and [ask] ‘do you have any questions?'" Grable says. "Usually you are so overwhelmed in those situations that you can’t think of your questions." She says OB Navigators will have regular contact with the women they serve. 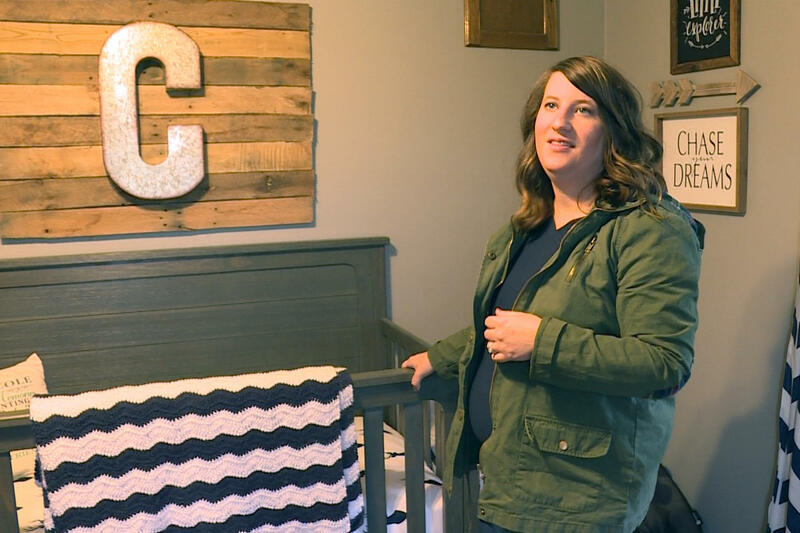 Placing OB Navigators with women throughout the state might begin to chip away at high infant and maternal mortality rates, but it does little to help with access. And it’s the drive that causes Deidra Firestone the most stress. "It terrifies me, like what if something goes wrong?" she asks. "I would have to at least wait an hour, or longer depending on traffic and what time of the day it is, to get to my specialist if I felt anything was wrong," she says. "I could go to my local hospital, but I have that relationship with my specialist to where I only want to go to her." Firestone is thankful she found a doctor who’s so in tune with her needs, but she can’t help but wonder how her care might be different if she lived in another zip code. "[I would] definitely be appreciative of it," she says. "In rural Indiana we don’t have access and avenues to get to those kinds of doctors, and it’s just something that you don’t appreciate until you need it."